Thank you for your payment, and welcome to the DKITSU Landlord Programme! Tip: start gathering photos of your accommodation now, you are going to need them soon. You will receive an email withing 72 hours with details of how to login and submit Accommodation Listings for display on this website. Be sure you have access you the email address used by your PayPal account just now. If the email does not arrive in your inbox, be sure to check your spam folder in case it went there. 2) After entering your login details (sent by email within 72 hours from now), you will be taken to the main Dashboard which has some basic instructions about how to Add NEW Accommodation. 3) Add your Accommodation Listing, including photos (start getting these ready now while awaiting the email) and Submit for Review. Note that you can set an Expiration Date on your listing, but if not set, all Landlord Accounts AND Accommodation Listings are deleted on 1st April each year, regardless of when they were created. After submission, you can logout of the system. 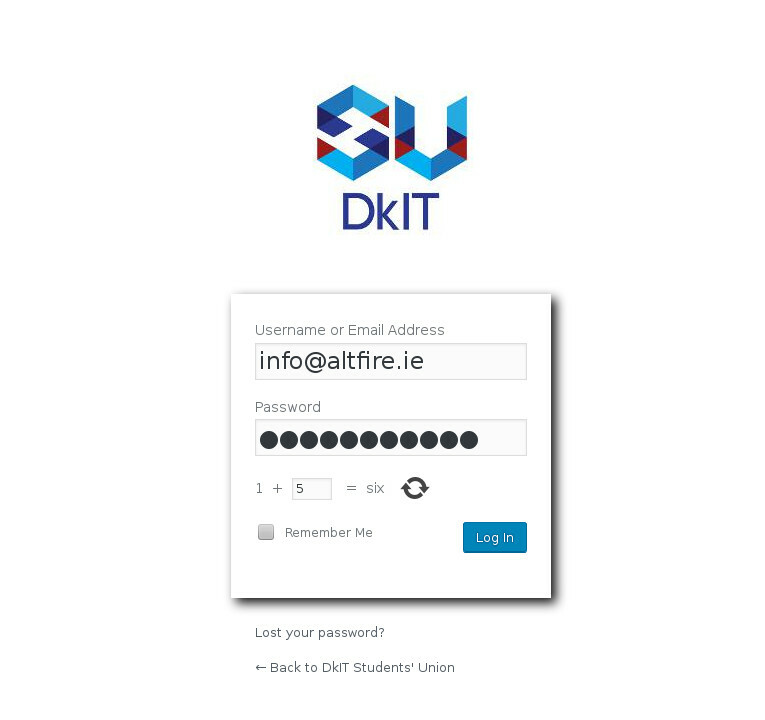 A DkIT Students’ Union staff member will give your listing a quick check for any issues and publish it to the live website within a further 72 hours (usually much sooner). 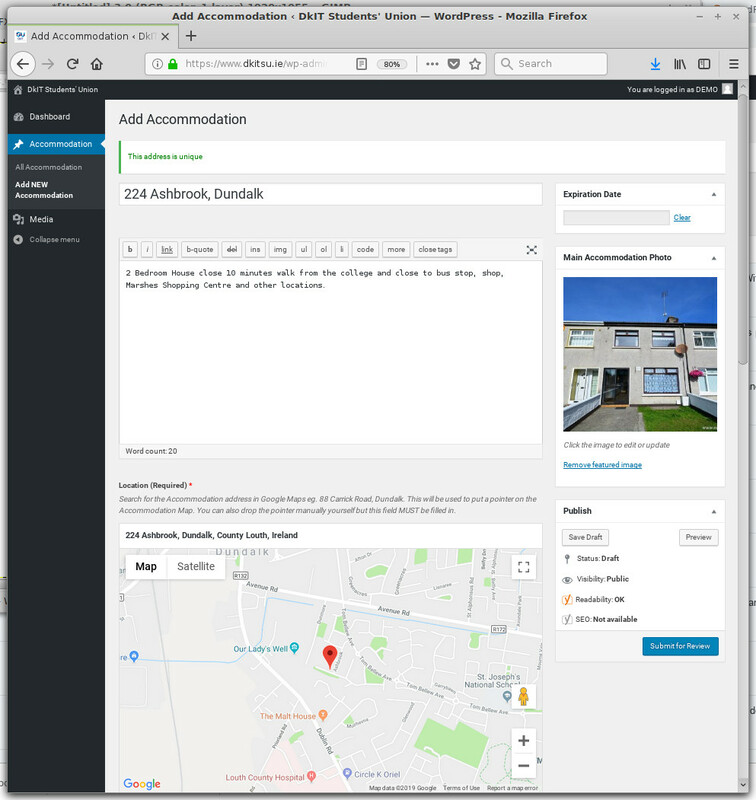 Once published, your listing will appear at https://www.dkitsu.ie/accommodation/listings/ and be accessible by students who will then contact you by email via an online form if interested. In accordance with GDPR, at no time are any of your personal details displayed on the site. Once again, check your spam folder regularly in case emails from the website should end up there. 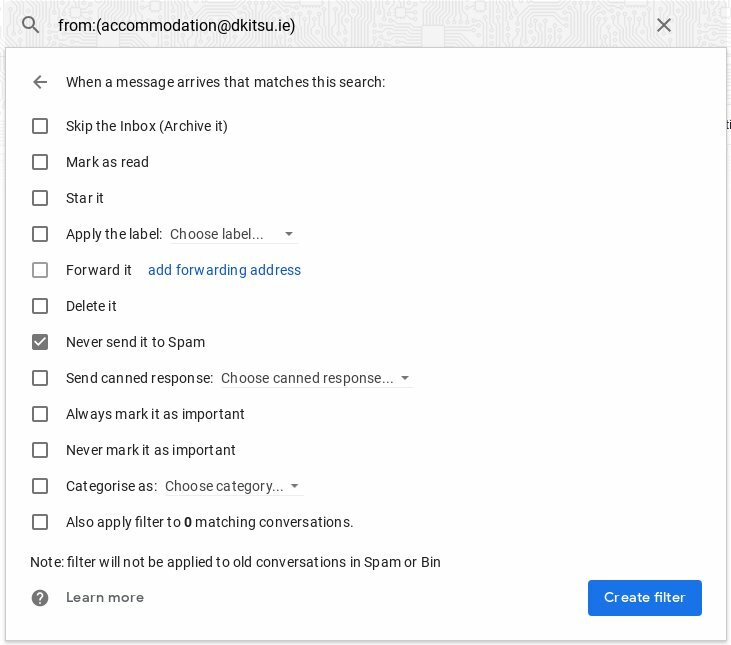 Tip: You could create a “mail filter” to ensure mails regarding your accommodation never go to spam. See below links for more information.